One word comes to mind when discussing Innisbrook Resort in Palm Harbor, Fla. That word is “Copperhead.’’ Regarded as one of the top five courses in Florida—it’s been No. 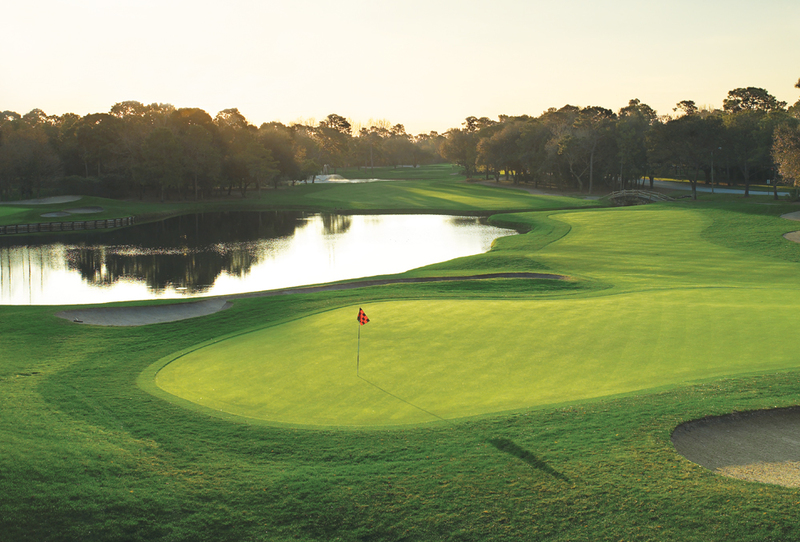 1 on some lists —Innisbrook’s Copperhead Course is architect Larry Packard’s masterpiece. 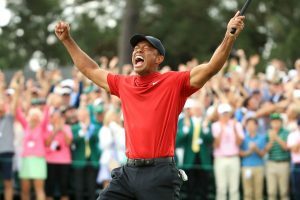 It’s a sweeping, larger-than-life centerpiece of this 900-acre resort about 20 miles north of Tampa International Airport and host to the PGA Tour’s Valspar Championship, which returns this week. Jordan Spieth began his rise to superstardom with his playoff victory at the 2015 Valspar. Originally designed by Packard in 1972, Copperhead underwent a total renovation in 2015 that included a new irrigation system, raising the fairways on the second and third holes to improve drainage; re-shaping bunkers; and adding of a set of staircase traps on the 18th hole. The renovation essentially brought the course from the 1970s look and put the fangs back into the Copperhead. 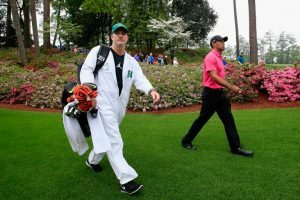 “A tough golf course,’’ Tiger Woods has said of the Copperhead. How tough? Copperhead’s famed “Snake Pit’’ finishing holes – a 460-yard, par-four, 215-yard, par-three and 455-yard, par-four – are as a good as any finishing holes as on the PGA Tour. But Innisbrook, owned by Sheila Johnson’s Salamander Hotels & Resorts, is more than just the Copperhead. The resort’s Island, North and South courses each are formidable. As with Copperhead, each course was designed by Packard, who lived at Innisbrook until his death age 101 in 2014. The Island Course, with its tight fairways (particularly on the first six holes) and water hazards, is a favorite of Innisbrook members. The South Course strays a bit from the standard Florida tree-lined fairways in offering more a links-style feel and look. The completion of the South Course renovation on 2018 gave each of the greens on the four courses at Innisbrook TifEagle Bermudagrass, which generally stands up well against drought conditions as well as disease. Approximately 300 of Innisbrook’s 450 member-owned suites (one- two- and three-bedrooms) have been completely remodeled with new furnishings and brighter colors. Even the full kitchens in each guest suite have been remodeled. Remodeling the guest accommodations at Innisbrook Resort is the latest example of Johnson putting her stamp on Innisbrook. Johnson, co-founder of Black Entertainment Television and the first African-American women to achieve a net worth of at least $1 billion, acquired Innisbrook in 2007 for a reported $35 million. It’s now part of a Salamander portfolio that includes Salamander Resort & Spa in Middleburg, Virginia; The Henderson in Destin, Florida; Hotel Bennett in Charleston, South Carolina; and Hammock Beach in Palm Coast, Florida. Despite its size, Innisbrook is easy to navigate, either by car or via the shuttles that transport guests to and from the clubhouses, Salamander Spa, 11 tennis courts and convention center. Each of the chalet-style lodge buildings at Innisbrook is named after a famous course such as Merion, Augusta and Carnoustie. The Copperhead clubhouse is home to Packard’s Steakhouse, the resort’s signature dining experience that comes complete with tuxedoed servers (many of whom have been there to 20 years) and a deep menu selection of steak and seafood. Packard’s is one of five dining outlets at the resort. Among the others, The Grill at the Loch Ness pool is a popular summer dining destination for families and kids. Innisbrook for the past four decades has been one of the Southeast’s more popular convention and business meeting destinations, featuring more than 100,000 square feet of meeting space. Salamander Spa, meanwhile, features 12 treatment rooms, including a couples room with private fireplace and shower. Innisbrook Director of Instruction Dawn Mercer is one of the country’s top golf teachers. Located just off bustling Highway 19, Innisbrook is central to many of the Tampa-St. Petersburg area attractions, including Tropicana Field (home of the Tampa Bay Rays) and beaches, including Treasure Island and St. Petersburg Beach. Palm Harbor has a small restaurant district just a few miles south of Innisbrook (go for the fried oysters at Molly Goodhead’s Raw Bar) and a few miles to the north is the city Tarpon Springs, with its Greek restaurants and sponge docks.